Lacy whites from Dolce & G..
An exciting new pop-up store has recently opened it’s doors in the Alfred Mall at the Waterfront. 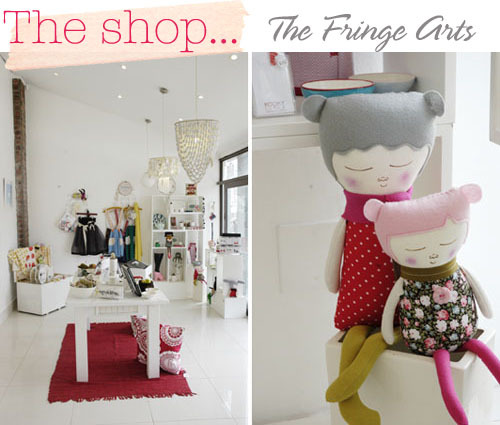 The Fringe Arts is a store and gallery space that is carefully curated by Chantal Louw and Thessa Bos. 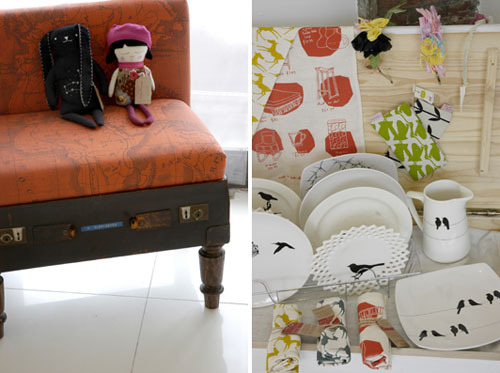 Together this talented duo has put together a fantastic collection of art, jewellery, decor and craft all designed and made by South African creatives. 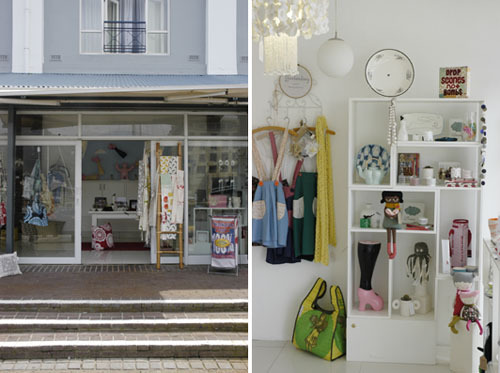 It’s the perfect place to visit for some early Christmas shopping or just to be inspired and see what South African designers are getting up to. 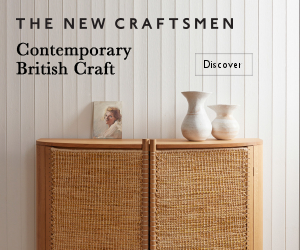 I wanted to list some of the designers but there are just too many involved, you’ll have to visit and discover them for yourself. The Fringe Arts will be at the V&A until the end of October and after that it will be popping up again at Spier in Stellenbosch, visit their facebook page to keep in touch. Did you spot that strange looking giant red sculpture in the photo above? In the background of the yacht basin… in case you were wondering, it’s Elliot, an 18m tall cratefan made out of Coca-cola crates, about 4200 to be exact! 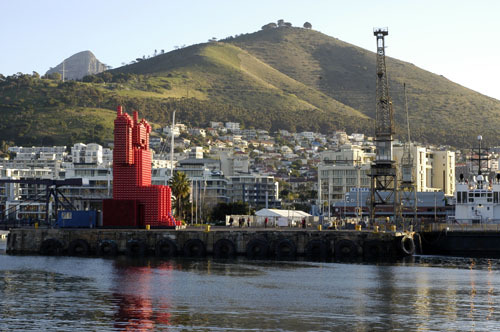 A giant red lego man at the harbour’s edge with Table Mountain behind him, quite a sight. Built by Animal Farm with the aim of keeping the excitement going after the World Cup has left Africa. 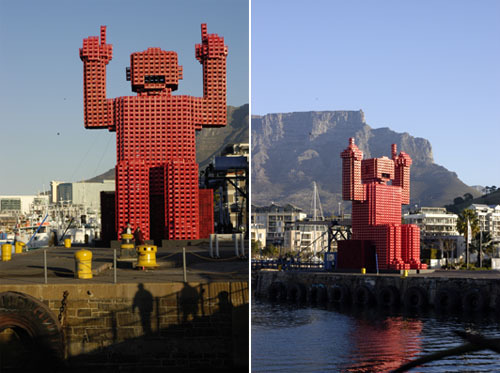 The World Cup may be over but there’s definitely still a lot of creativity and excitement in SA as you can see! What a lovely fresh shop! 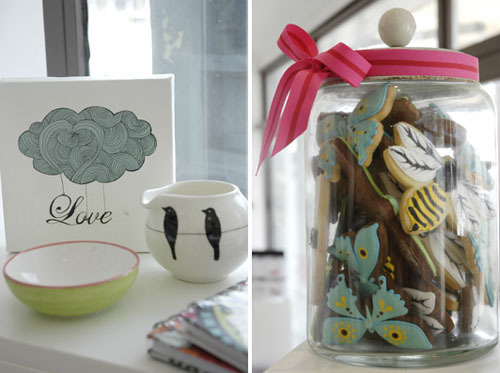 I wish I could fly right now to CapeTown… such lovely shops!!! You should be named as shopping ambassador for the city!!! Congratulations!!! 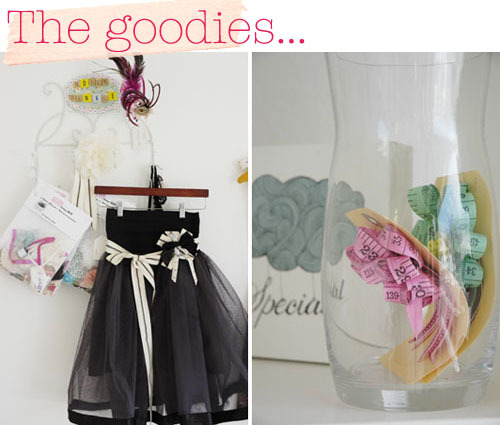 this shop looks so cute and it may be a bit dangerous…on the wallet. This is lovely! 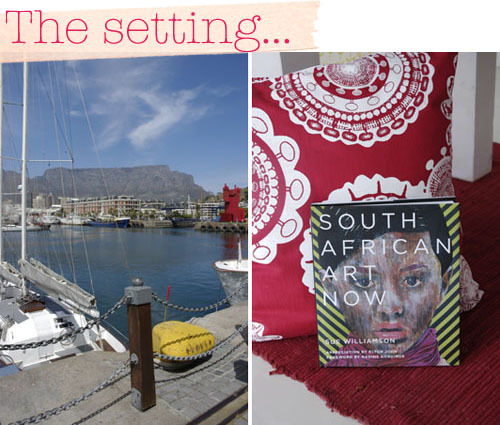 So wonderful to see all this Cape Town creativity in the spotlight!